Groom and Groomsmen Tuxedos at Rose Tuxedo, over 30 different designer tuxedos in stock in every size, 3 boys up to 74regular. And if you don’t see a Tux or Suit style your looking for make sure you call and ask us what our Jim’s formalwear catalog tuxedo rental fees. If we don’t own it there’s a good chance we can still get it at a great tuxedo rental price. Over 40 years in the Men’s formal wear business with 3 locations. We have a Wedding Tux waiting for you. 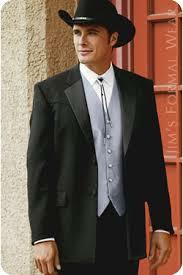 Arizona’s largest Tuxedos on display, in stock designer tuxedos and suits and fullback vest. Rose Tuxedo Since 1980. Renting a tuxedo is affordable and sensible. At Rose Tuxedo, located in Phoenix and Mesa, you can find all sorts of specials and discounts to fit your needs. If you are in need of a Groom Tuxedo , Groomsmen Tuxedos, Prom Tuxedo, Quinceanera Tuxedo, or any other event, Rose Tuxedo is able to best assist you with the right fit at a great price, because we OWN our inventory in-state. With the help of the warming and welcoming staff, you can be sure to find the right fit for your body. They are able to help take measurements and be sure your tuxedo fits you just right to get you perfectly ready for your big event! Along with that service, you can be sure that your tuxedo is cleaned and freshened. You’d be amazed at the selection of colors and styles. You are able to match to the bridesmaids, to your prom or homecoming date, to the colors of the ball or whatever your event’s colors may be. These all are incredibly important details for events such as a wedding to keep the appearance of the Groomsmen and Bridesmaids congruent, or at your proms and homecomings. These events are heavily photographed and having unplanned color variations or a mix-match of styles can be disappointing in when displayed on photographs. Having been a bridesmaid of several weddings, I can attest to the amount of disappointment a bride feels when the colors of the weddings aren’t coming together. This happened to my close friend who was searching for a deep purple that wasn’t exactly plum. No one really could figure out what color she wanted. For her, this was major stress and she didn’t have access to a major boutique that was able to provide selection. She settled for the plum purple and was okay with it, but not overjoyed. While that seems like such a silly thing to fret about while planning a wedding, many other bridesmaids can relate to the struggle. Even more so when the Groomsmen Tuxedo doesn’t match the bridesmaids. Definitely stop by Rose Tuxedo for your next homecoming, prom, or wedding to have the awesome styles and colors. Look your best on that special night and feel confident while being bombarded with photographs. With the largest selection and the best fit, Rose Tuxedo is sure to make it a night to remember!